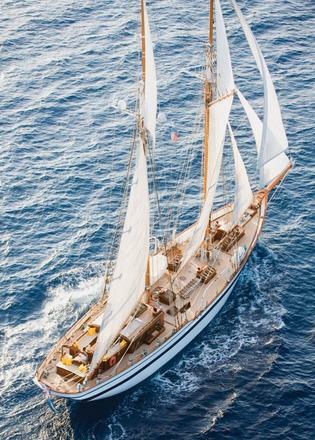 Enjoy a luxury charter on board LADY THURAYA, a stunning 101-foot classic schooner yacht perfectly suited to create a one-of-a-kind luxury sailing experience for you and your guests. 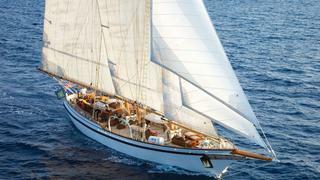 Built in 1985 under the name BORKUMRIF II, LADY THURAYA has a long history as a classic sailing yacht. 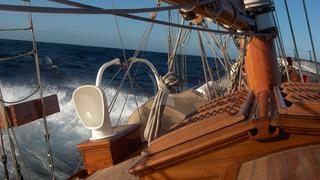 In 2009, she was completely rebuilt by Verkerk Yachting Projects. 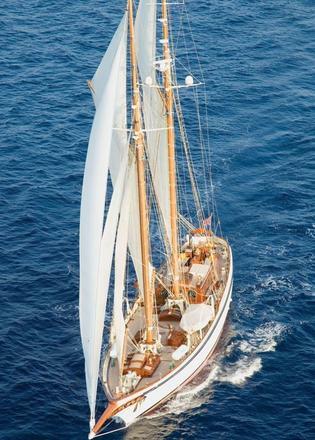 After 18 months, she emerged in perfect condition with new systems and revamped interiors, everything from keel to mast and beyond. 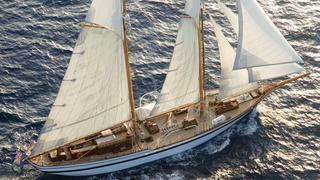 LADY THURAYA is now a modern, contemporary sailing yacht with a spectacular interior, complemented by new decks. 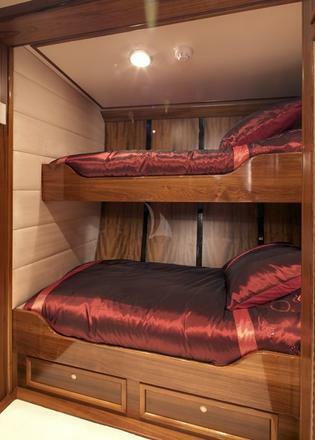 She features an incredible layout for families or groups of friends who are keen sailors, but also want the comfort and high-end amenities of a luxury yacht. 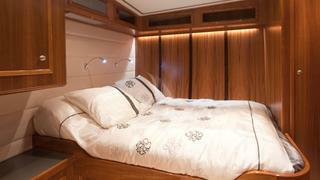 LADY THURAYA is able to accommodate up to eight guests in four cabins, including a master suite forward with a queen-size bed and marble en-suite facilities, a VIP cabin with double bed and en-suite facilities and two bunk cabins with en-suite facilities. 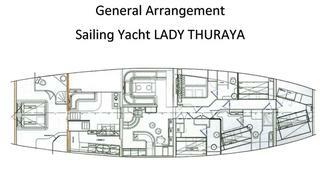 On deck, LADY THURAYA has a large awning, protecting guests from the sun. 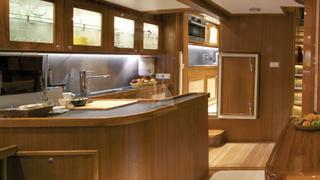 An alfresco dining area in the cockpit features a table and comfortable sofas. 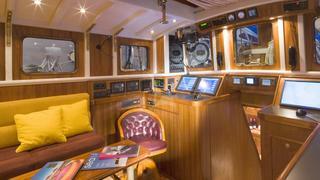 She also has a 21-foot(6m) towed tender, which allows guests to arrive at restaurants in fine style or to enjoy watersports to their full extent — this is a very rare asset on a 31-meter yacht. 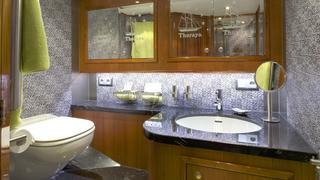 LADY THURAYA is run by four extremely experienced and professional crew members.